Haines Alaska is on the Northern Door step of Glacier Bay National Park. Look at the National Geographic clip (video) for an idea of a typical flight with me. 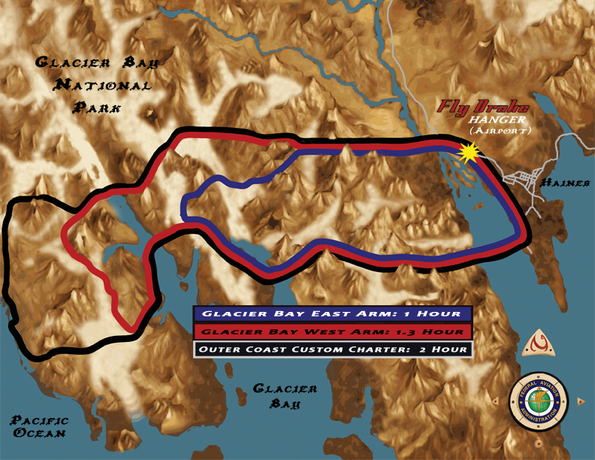 The perspective I bring to the Glacier Bay Flightseeing experience is from the adventures angle. Years of mountaineering, skiing and flying in Glacier Bay have given me an edge over my competition and this is from the ground up.